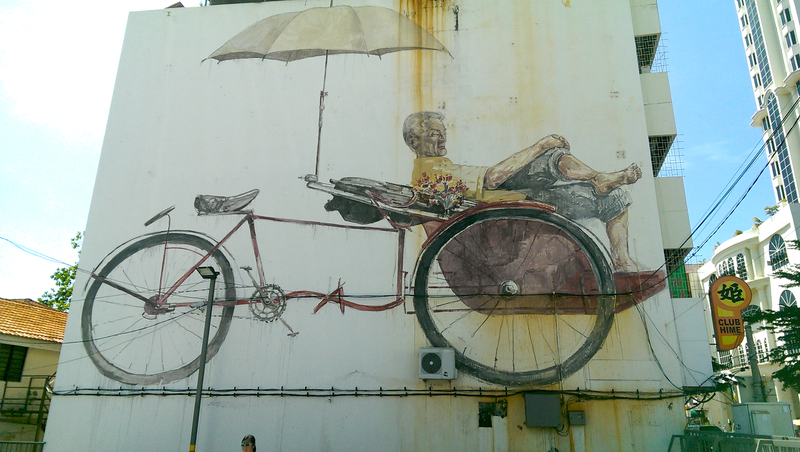 The island of Penang was the first place I ever visited in SE Asia. In the early nineties, Lee and I nabbed some cheap flights to Bangkok, hoofed our way from the airport across the city to Hualalumpong station and jumped on a train straight down to Butterworth in Malaysia. A truly memorable train journey, scorching our mouths on the hottest Thai food I’ve ever tasted, and watching the steamy jungle in the morning sunrise. We’ve done the same journey three times since. Travelling with twin children in 2002 and 2006, and more recently with our now teenage twins in January. The steamy jungle still steams but it’s far less jungly than it was back then. From Butterworth, it’s still a short ferry hop over to Penang’s Georgetown. 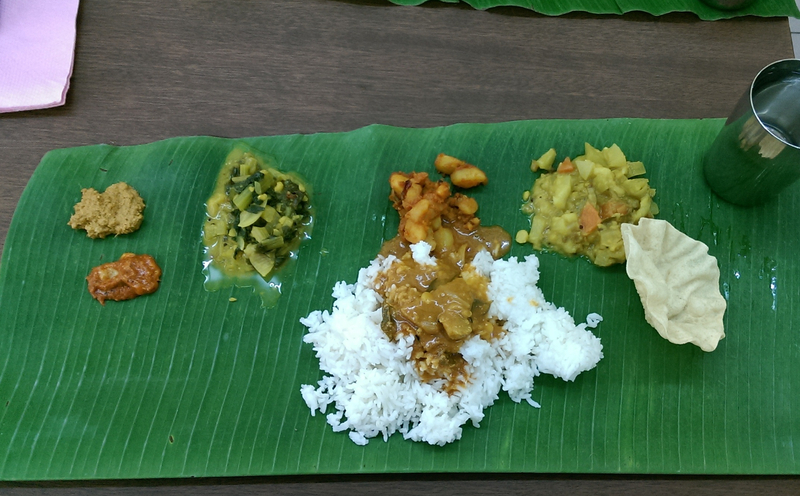 We decided to spend New Year here, as the food is so delicious and varied. The best of Malaysian, Indian and Chinese food can be found on every street corner. Cooking and eating appear to dominate people’s activity here, locals and tourists alike. I'll be honest, I thought it was chilli paneer when the dish caught my eye as I wandered passed this corner cafe. It turned out to be tofu, and boy did it taste good! 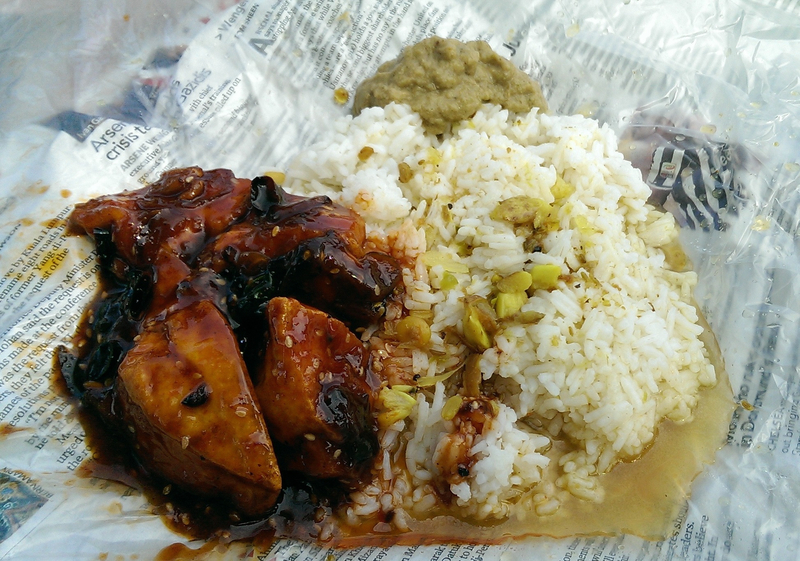 The dish was all about the sticky and spicy unctuous sauce, balanced with a gingery sambhal, all mopped up with a big bag of rice. We took our little bags of food down to the old Fort Cornwallis, and enjoyed our impromptu picnic atop the north east wall looking out to sea. Every street corner in Georgetown seems to sell something that looks delicious. This is one of the street food capitals of the world and there is no doubting it's righful position on this list. Elsewhere in Malaysia, it can be tricky to find vegan or vegetarian food, especially in rural areas or off the beaten track urban towns. But Georgetown has it all. There's excellent dedicated vegetarian cafes and restaurants serving classic Malay dishes, such as Lily's, with their spicy textureful satay sticks and fragrant veggie take on Penang's signature noodle soup, Assam laksa. Then there's Little India, with it's plethora of 'banana leaf' and dosa cafes, such as Woodlands, and not forgetting our favourite snack seller on the corner of Lebuh King and Pasah, selling all manner of freshly made bhajis, pakoras and bondas. This place warranted three separate visits on our last trip. No visit to Malaysia would be complete without a trip to the roti canai seller. For me, this dish is emblematic of Malaysia's history. The flaky roti and sambhar style dal with it's tang of tamarind, reflect the old spice routes and influence of South Indian food. In my family, we've been known to eat this everyday while travelling around the peninsular. It's Malaysian comfort food, pure and simple! Georgetown is awash with excellent street art too. From murals capturing classic images of rickshaw cyclists and children playing, to sculptured pieces signifying heritage sites around the town. We found some stuffed tofu pockets (tahu bakar) whilst wandering around Little China. I could have gone without the mayo, which seems to be a new addition to the dish, but delicious all the same. 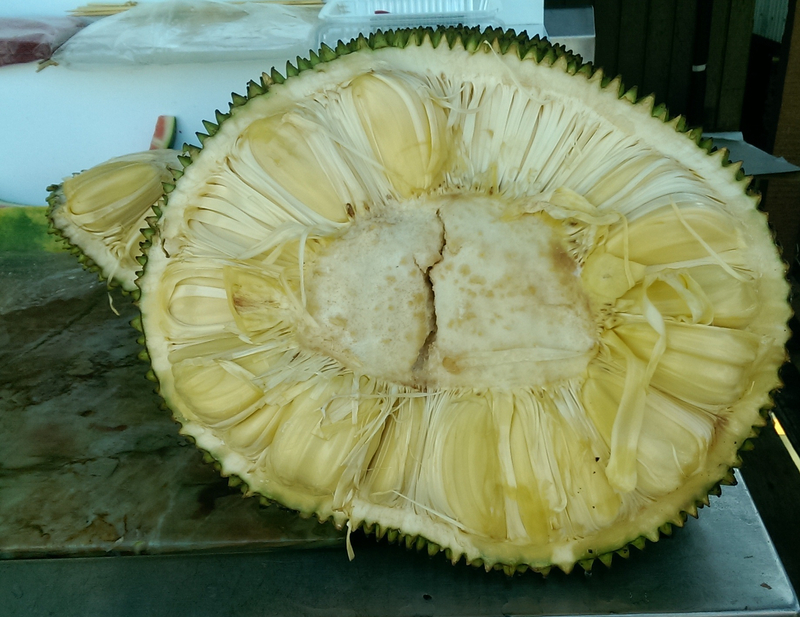 We followed this up with some jackfruit ice cream - the flavour a kind of cross between a pineapple and a mango. Even though this was our fourth visit to Penang, the place never fails to make me want to stay. I'll try and post some Penang inspired recipes very soon.